Classic-Castle.com • View topic - Latest Steampunk Creations! Hope you like them, C&C are welcome! These are superb. Keep it up! Justin M wrote: These are superb. Keep it up! Nice! I really like these. The top one is probably my favorite. Great work! The viking-inspired (I presume?) airship is awesome! 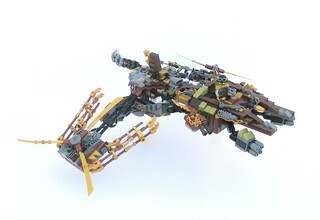 I love the dragon at the front as well as the propellers. 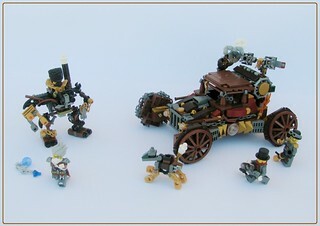 They are all nice though, and the typical steampunky colourscheme is perfectly used. Maedhros wrote: The viking-inspired (I presume?) 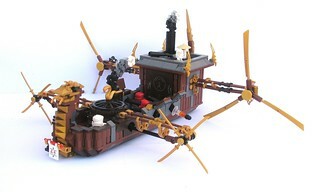 airship is awesome! I love the dragon at the front as well as the propellers. 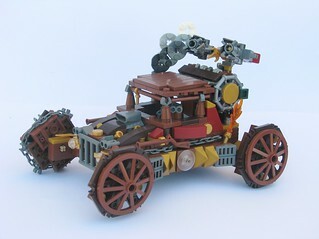 They are all nice though, and the typical steampunky colourscheme is perfectly used. Thanks! It was pretty much a ninja steampunk mash-up, maybe some viking snuk (How DO you spell that ?) in too though . Wilfred of Ivanhoe wrote: Nice! I really like these. The top one is probably my favorite. Great work! Heh, my old Norse ain't that good but in Swedish we'd say snäcka or snecka. I think snekkja would be the old term. Apparently I didn't pay enough attention to the description. The Japanese details are of course there, and nicely done. Well, what could be more awesome than steampunk-ninja-vikings? Thanks! Seems, like the idea that it's Norse occurred to a few people . Hehe, I was asking for the English word, but thanks .